The region of Aquitaine is in south western France is the perfect camping holiday region. Come and explore the liveliest and most diverse corner of south-west France with LUX-camp. Why go camping in Aquitaine? Aquitaine in south-western France is a charmingly colourful region. Explore the chateaux and cathedrals of medieval knights in the ancient land of the Pays Basques. Or you might prefer the modern vibe of the cool surfer's paradise, Biarritz. 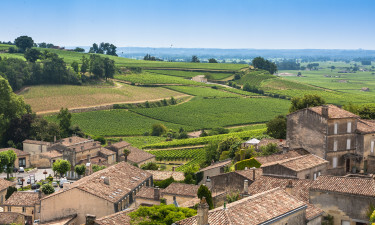 And to relax and unwind, there is simply nothing like wandering around the quaint villages and sumptuous vineyards of Bordeaux. Aquitaine/ Bordeaux is the perfect location for a luxury camping holiday. Sylvamar is surrounded by pine woods and is near the beach. There are scrupulously clean and luxuriously tiled showers with plenty of hot water, as well as lots of nearby activities, and an adventure playground and water park adjacent to the site. Most mobile home pitches are shaded by the aromatic pine trees. Village Ilbarritz enjoys an idyllic setting in the midst of a hydrangea forest and a stone's throw from the Atlantic beaches of Biarritz. With water parks complete with slides and a variety of sport and leisure activities, Village Ilbarritz represents the epitome of luxury camping. 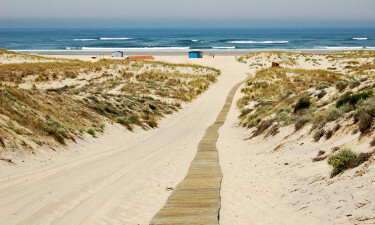 Aquitaine is characterised by its wide sandy beaches and Atlantic surf. 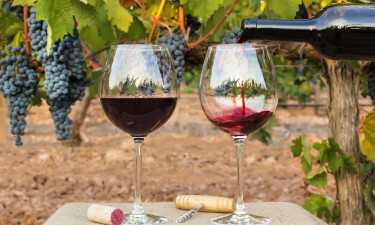 Inland, there are world famous vineyards. The landscape is very diverse. The region of Les Landes is the most densely forested area in Europe, while to the south, the foothills of the Pyrenees offer beautiful mountain scenery all year round. There is plenty of wildlife to see in the area, including wild boar, foxes and many kinds of birds - storks, herons, eagles and vultures. You might even see a bear near the Pyrenees. 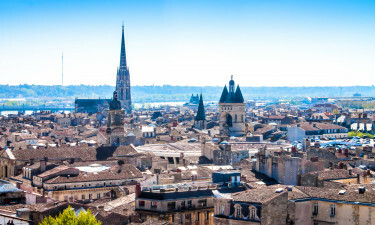 The largest city in Aquitaine is Bordeaux, the capital of the region which is famed for its fine wines. Pau is another interesting city, located on the northern edge of the Pyrenees and is a good place for sampling the delicious béarnaise cuisine. 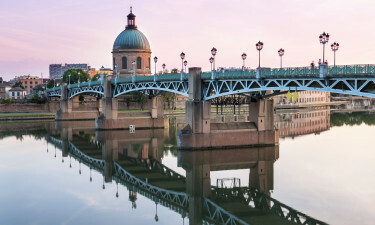 Other notable cities of the region include Bayonne, Dax, Talence and Merignac. Aquitaine is a land of contrasts from the chateaux vineyards of Bordeaux, to the medieval fortresses and cathedrals of Bayonne, to the modern surfing mecca that is Biarritz. There are so many attractions waiting to be discovered, from picturesque villages, to exquisite chateaus and fascinating wine tours. There are plenty of mouthwatering local dishes to try in Aquitaine - Perigord black truffles, Arachon oysters and freshly caught fish from the Bay of Biscay. Look out for food festivals and weekly markets where you can try local specialties. Prunes from Agen are also famous; why not try a delicious local dish of pork cooked with tomatoes and prunes? The climate in Aquitaine can only be described as superb. It is famous for its warmth throughout the year, particularly in the summer months. The climate is not dry, with the landscape being kept green because of high levels of precipitation, which make the region such a good place for growing grapes; essential for the wine industry!